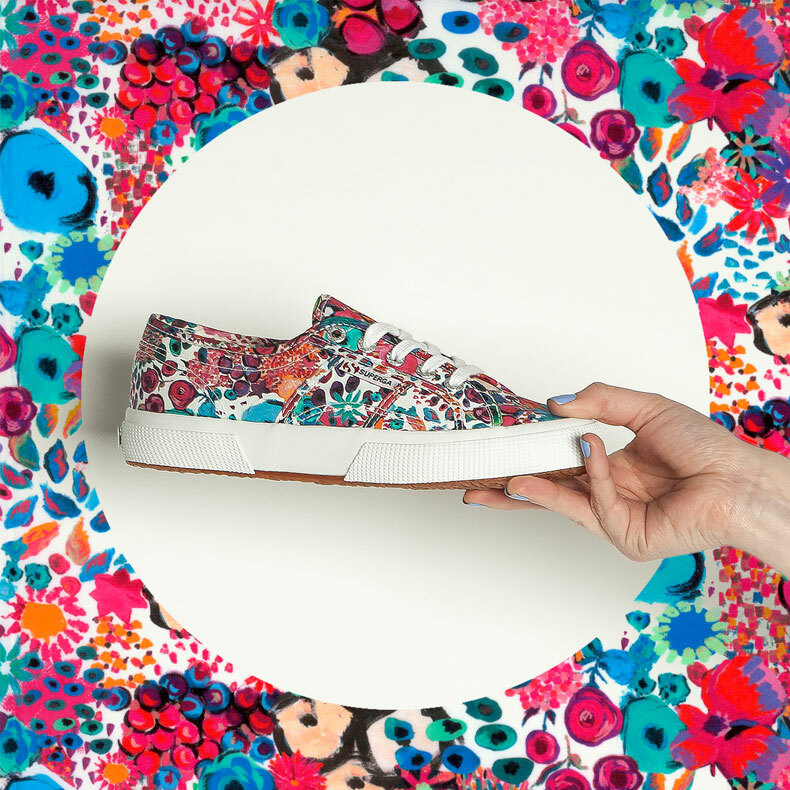 Attention fashion-enthusiasts: Italian footwear brand Superga has joined forces with Liberty Art Fabrics for another limited collection made in printed plimsoll heaven. The dream collab, first seen in 2015 has had some fresh updates for spring/summer this year, and they’re looking fab. Way back in 1875, Arthur Lasenby Liberty launched Liberty London in a bid to change the look of homeware and fashion. He enticed a society intoxicated by Japan and the East with an impressive collection of ornaments, fabric and objects d’art and soon the business bloomed to success. Liberty secured strong relations with many British designers in a bid to challenge the fashions of Paris by creating in-house apparel, most notably those who fell into the protagonists of the Art Nouveau movement. These are traditions which are still at the heart of company today, with in-house teams creating beautiful collections of scarves, accessories and fabrics (Liberty Art Fabrics). Hot on the London brand’s heels, Italian footwear company Superga was established in 1911, by a man named Walter Martiny. The company launched their now iconic 2750 silhouette on a mission to bring high-quality footwear to their homeland, and these stylish little numbers soon became known as the people’s shoe of Italy. Through the years Superga have evolved their 2750 design into flatforms and mid-tops and have collaborated with top names to create fresh new styles; all the while retaining their signature look and sturdy vulcanised sole unit. Now that you’re up to speed with both brands’ histories, we think you’ll agree it’s a pretty nice collaboration between heritage labels that hold high-quality and strong fashion game close to their respective hearts. Check out all these beautiful styles from Superga, along with our full women’s trainers range now.